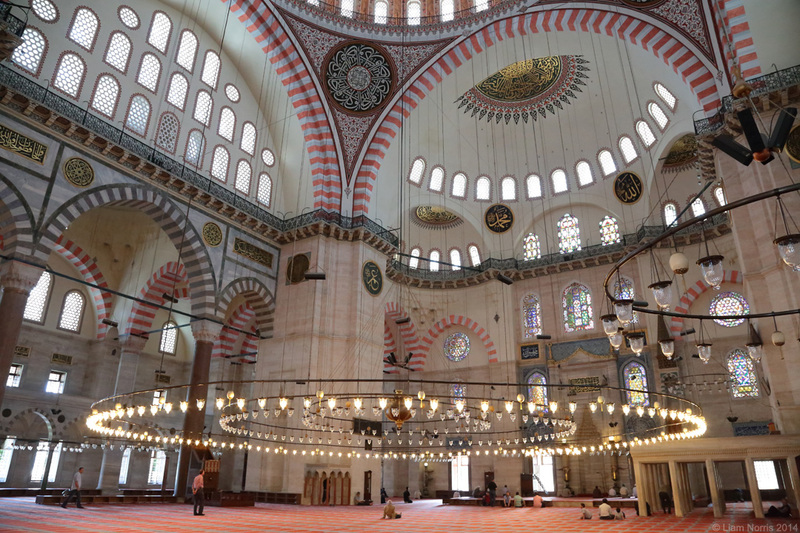 Dominating the hill in Eminönü (on the European side of Istanbul) is the great Süleymaniye Mosque. 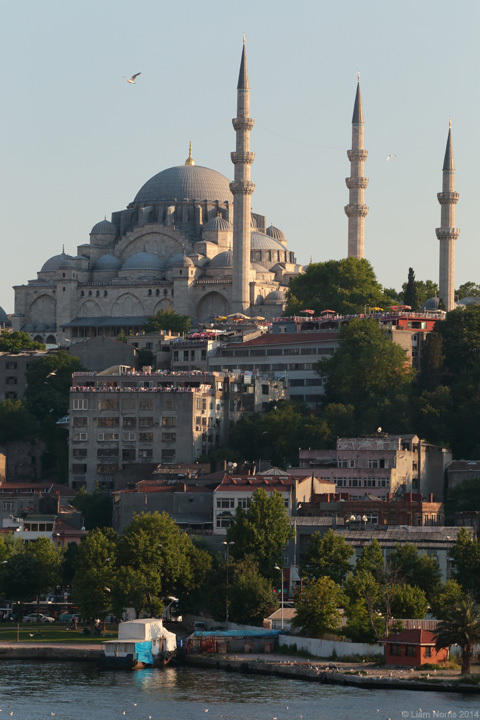 Often overlooked by tourists in favour of it’s little brother the Sultan Ahmed Mosque (The Blue Mosque in the downtown tourist district), it is almost always quieter and every bit as impressive. 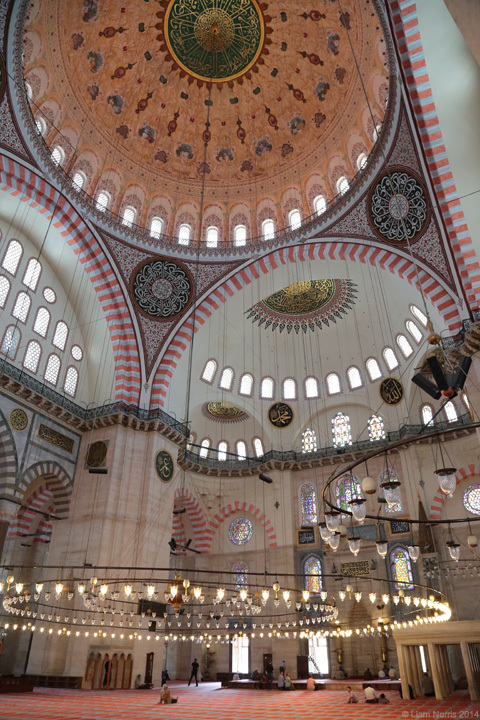 Built in 1550 by the master architect Sinan, it blends Islamic and Byzantine architectural elements and is second in size only to the great Hagia Sophia. And it doesn’t smell of socks.